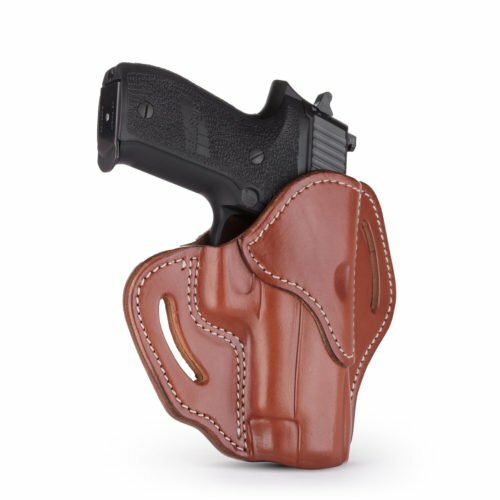 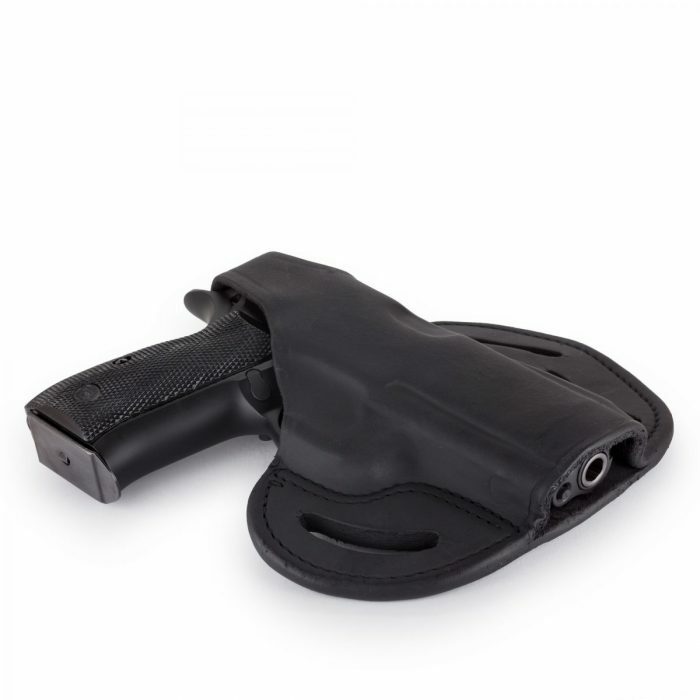 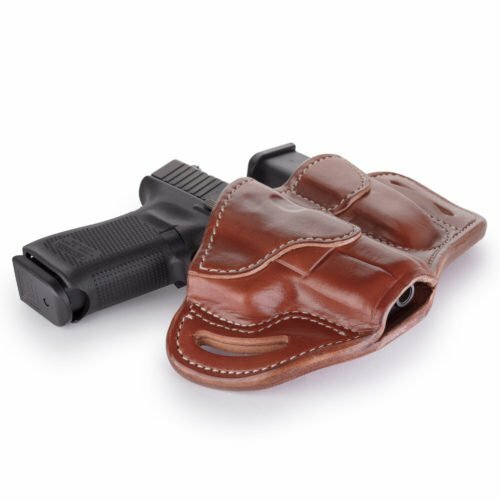 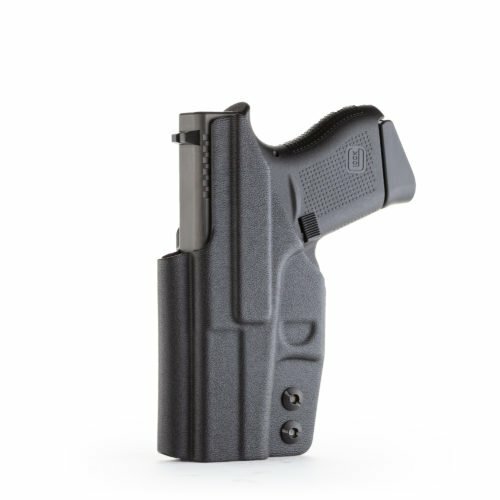 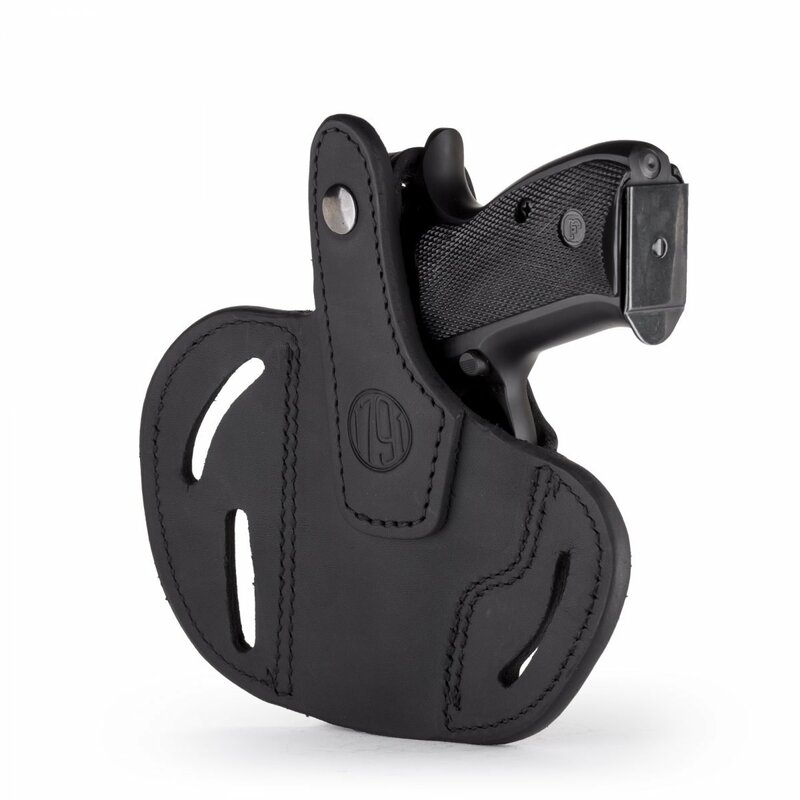 Our Multi-Fit Belt Holster includes a Thumb Break (BHX) and is our ultimate design that will accommodate many firearms and positions. 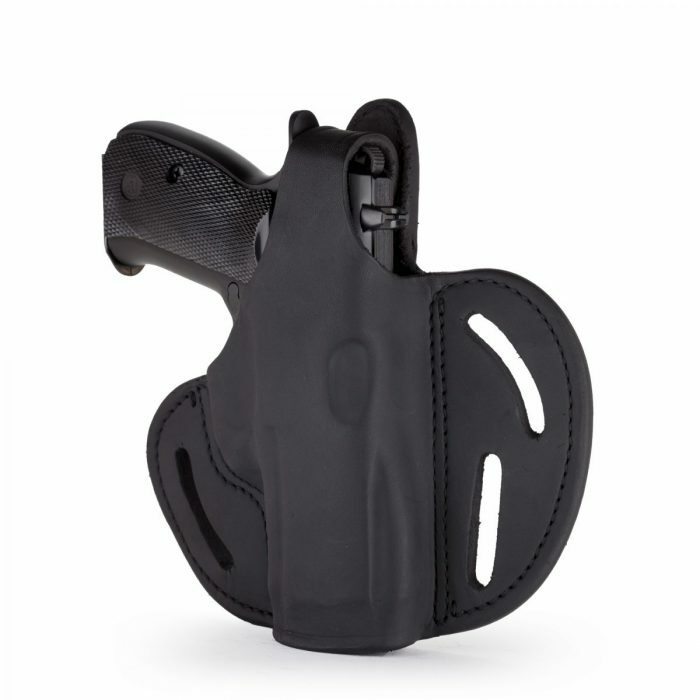 The FBI-Cant allows for a quick reaction draw of your weapon and the Back-Cant is intended for quicker pickup of your target, especially useful when sitting or driving. 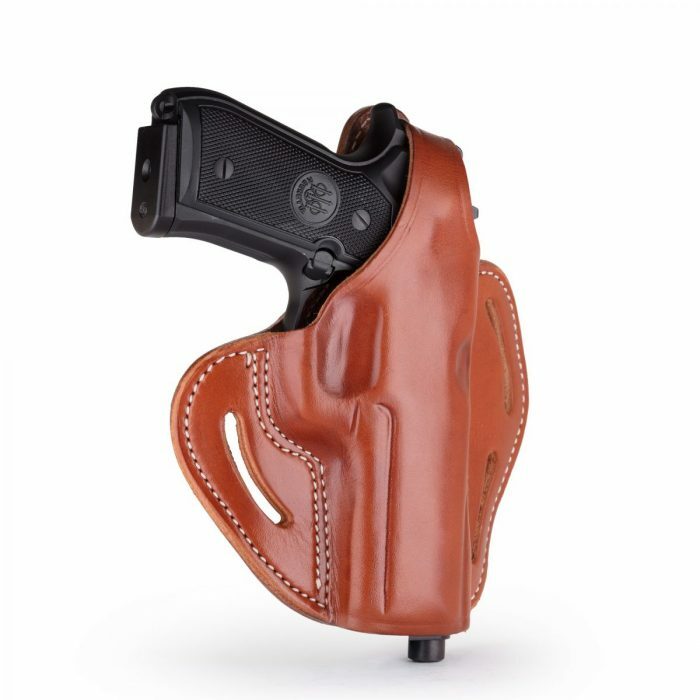 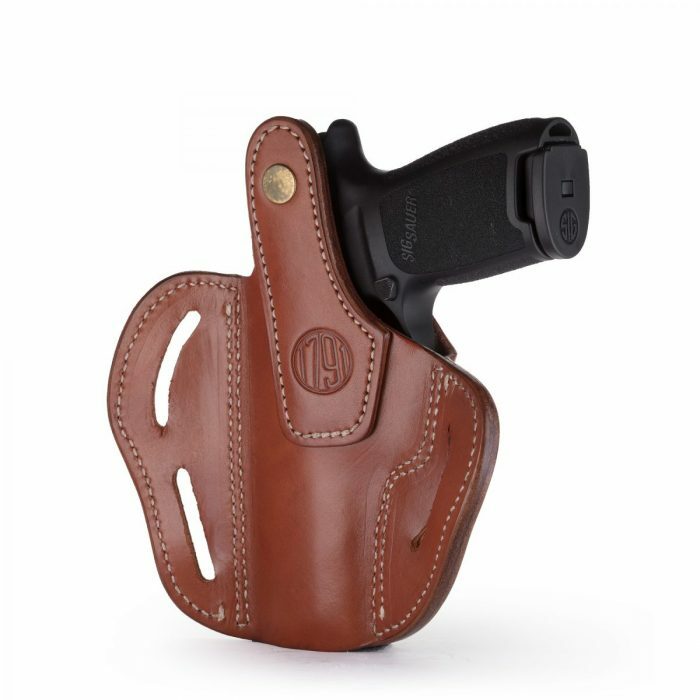 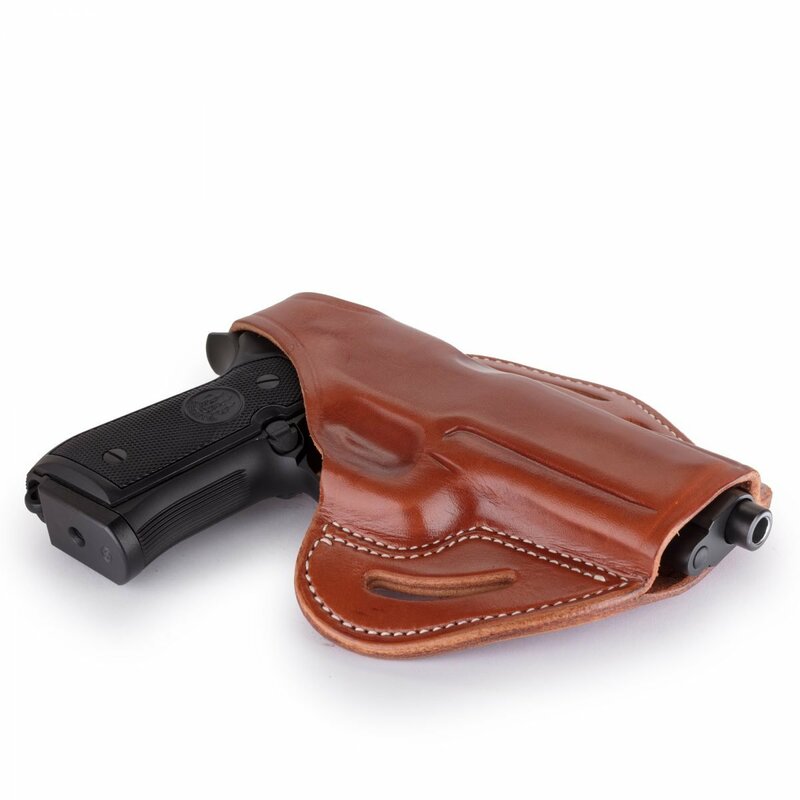 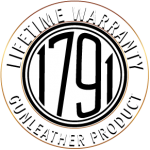 The BHX is a high-end leather design that is molded and contoured for your pistol and accommodates taller Suppressor Sights, yet is comfortable against the body due to the handcrafted premium 100% Certified American, Heavy Native Steerhide leather. 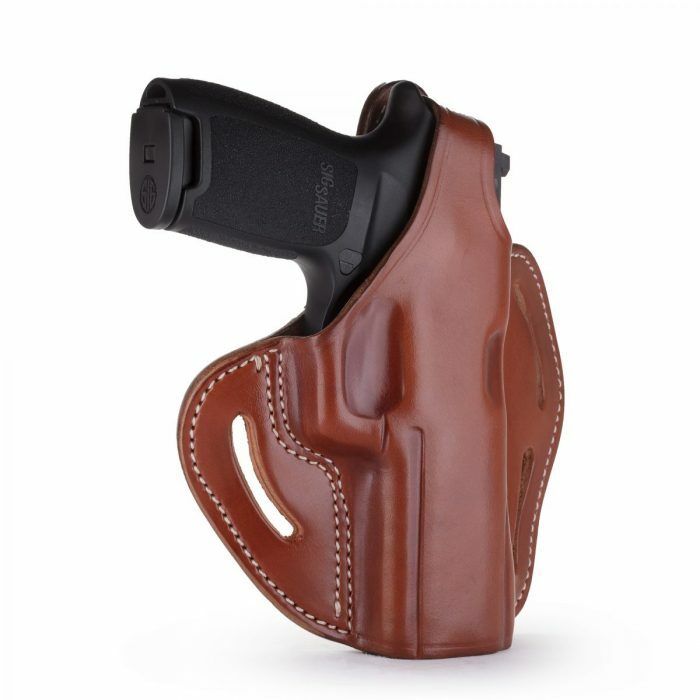 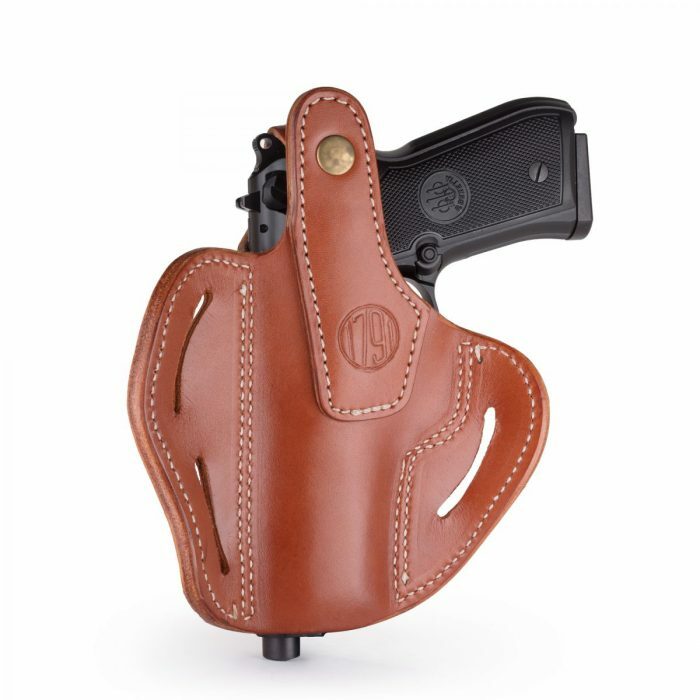 This holsters interior is hand-finished to help protect the bluing of your pistol and includes design enhancements like a reliable Thumb Break, multi-cant positioning options on the belt, double stitching for reinforced life-time enjoyment, and more barrel room for higher front-sights.